It’s more difficult for some than for others. If you’re anything like me, you’re not content with just sitting in one corner until things begin to happen. You want to make them happen. Sometimes I’m not so sure but I can tell you: this has caused me a lot of trouble in life. There are times when results are way out of our control, so we just need to stop and wait because there’s nothing we can do. “Nothing we can do”. I don’t like that at all. 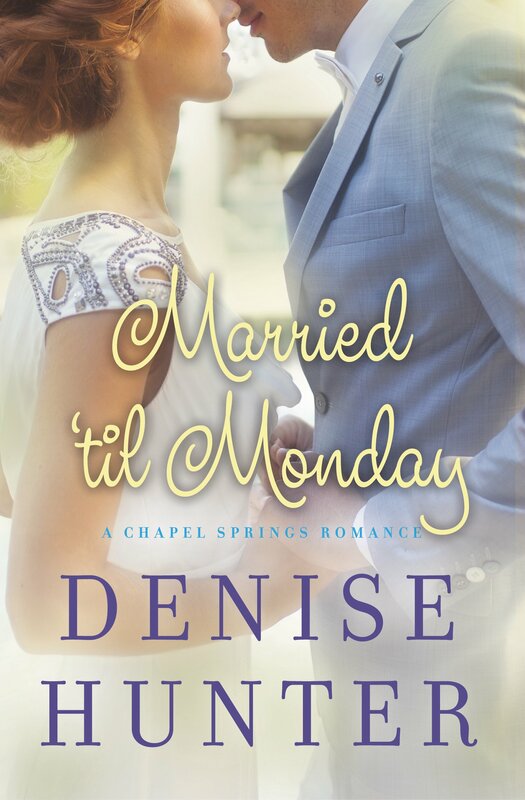 That’s why I felt so identified with Ryan McKinley in the book recently released “Married ‘til Monday” by Denise Hunter. In his pursuit of reconciliation with his ex – wife, Abby, this man got almost desperate. He wanted her back in his life so badly that he let her no room to think things through. There was a moment I was tired of him trying because I knew He’d get better results just leaving her alone for a while. Ryan’s best friend, Daniel, had this very heartfelt conversation with him and encouraged his friend to stop chasing Abby (thank you very much). But he preferred to do, not sit and wait. Maybe if he said the right thing, he thought, Abby would love him back again. Waiting is hard because it requires trust, isn’t it? Confidence that God will make everything right and you have to do nothing else but wait expectantly in Him even if it means you won’t get what you wanted the way you wanted. I hate not doing as much as some of you do, but, believe it or not, there are moments in live we need to back off and let the Lord deal with the situation. We’re not making it any better no matter how much we’re trying. Perhaps, we’re making worst. I wish I could always say: keep going! Try harder, bro! It’s all up to you, but that’d be kind of lying and I’m pretty sure there’s a commandment about that. Basically, the time to do something will come, but the waiting part will be there too and God encourages us to embrace both at the proper time. Could it be that at this particular season of your life God wants you to just wait and let Him do the work? You’ve done your part. You did the talking, you’ve worked hard… maybe it’s time for you to back off and, you know, trust. But, then again, you’ll never know what God could have done if you don’t decide to take that leap of faith. Believe me: you and I are not smarter than Him. It may be the Lord is just waiting for you to get exhausted to show you all He can do if you allow Him. and subscribe to this blog.